No place is virtually safe nowadays. If you are into reading local news stories, you can probably tell yourself that any neighborhood can be a target of breaking and entering. Simply put, burglars are becoming more desperate and violent these days to the point that they care less about their victims. Hence, it is no longer a luxury but a necessity to make sure that your home is protected from any criminal elements in order to protect your home and most of all, your family members. Breaking and entering is unfortunately a common crime in many parts of Australia. Home burglars tend to target homes that lack safety and security features. These homes are particularly vulnerable to burglary as they do not give challenge to people who want to break and enter their property. This is why is very important for homeowners to fool-proof their properties. There are many ways a homeowner could do to spare his or her home from breaking and entering. Investing on home security details and systems is one of the most common and effective ways to protect your home from burglars and other criminal elements. CCTV camera systems – More and more Australian homes are now equipped with CCTV cameras as they provide protection to homeowners and their family members. Burglars tend to stay away from properties equipped with security camera systems since their plans may be compromised once people inside the home are made aware that a possible breaking and entering activity is about to take place. Also, CCTV video footage can serve as a helpful piece of evidence authorities can use to track down and identify the burglars. If you really want to protect your property from burglars, then investing on good and reliable CCTV camera systems should be strongly considered. Home alarm system – Installing home alarm switches on different parts of your home is advisable, especially if your neighborhood is a common target among burglars. By having a solid home alarm system in your property, you can easily notify authorities and even your neighbors that your home is being subjected to breaking and entering. It is important that you teach everyone in your house how the system works. Inform them where to go to sound the alarm, what to do when they hear the alarm and other related information that could be useful in case of an emergency. It is also wise to have a good guard dog in your house so you would know if someone you don’t know has entered your premises. A guard dog will bark and even attack intruders, giving you more security at home. 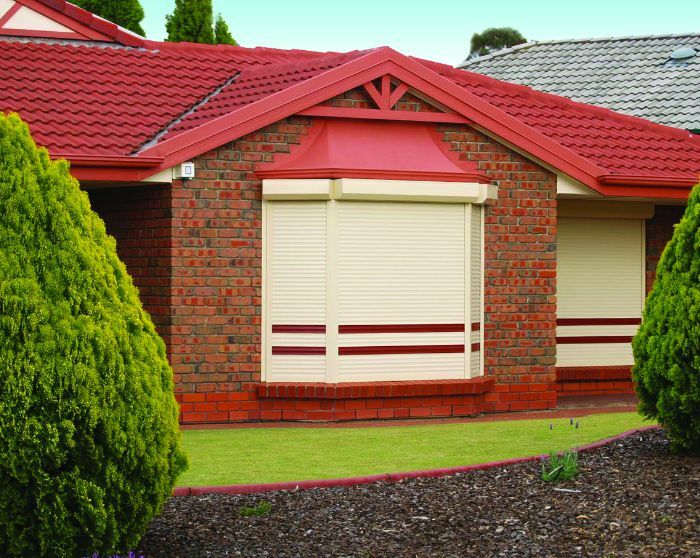 Security door – Having good security doors Campbeltown for your home is essential in ensuring the safety of your family. If you think any type of door is good enough, think again. Intruders have the knowledge and experience in breaking in through ordinary doors, which is why it is important to invest in quality and durable security doors Campbeltown. Your doors are probably the last thing that is protecting you from intruders so it is just logical to have one that is sturdy and has security features. Your family’s safety should be your number one priority. In order to keep your home and your family from harm’s way, it is a must that you invest on ways that could possibly literally save your family’s life. Although buying home security features can be quite an investment, you should not be discouraged since the price outweighs the protection these features can give to you and your family.